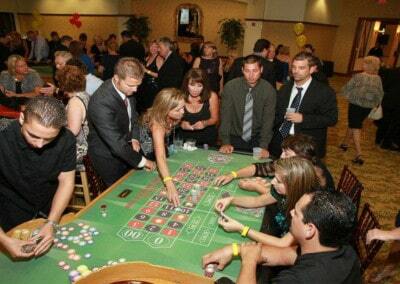 Nothing quite captures the essence of a real casino as roulette, a game thatʼs been around since the 18th century. 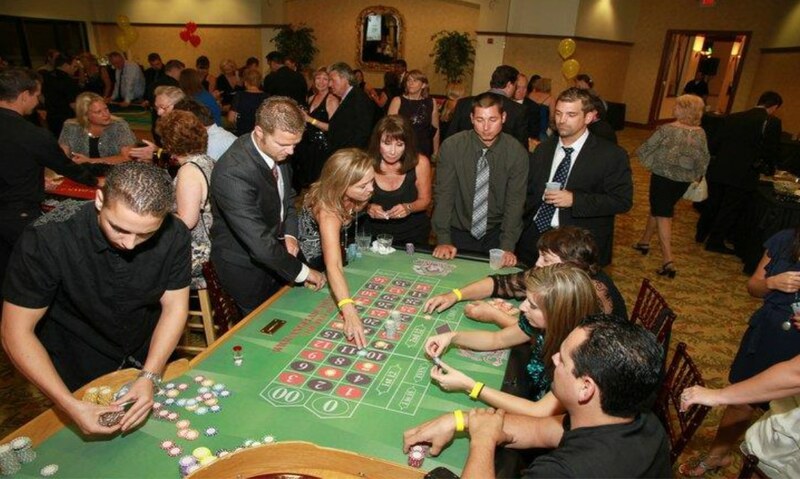 Many clients love adding roulette to their party because itʼs very easy to play (guests simply choose to place bets on either single numbers or a range of numbers), yet it adds elegance and ambience to any room. 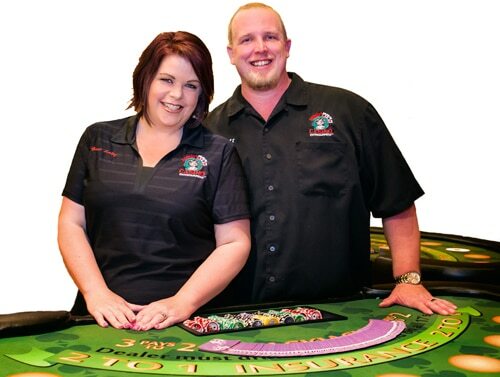 What Makes Our Roulette Tables Special? When it comes to roulette, size definitely matters! Many companies use tiny plastic roulette wheels that look like something you might find at a toy store, but why settle for a smaller replica when you can have the real thing? Our roulette wheels are a full 20-25 inches in diameter. Donʼt settle for anything less than casino-grade! Fully padded bumpers, wooden edges and wooden legs, no skirting!